If you’re a Mom or Dad with ink, then you’ve probably instilled an appreciation for tattoo art in your kids. And while they obviously have plenty of time to think about their first tattoos, it’s fun for them to experiment with temporary tattoos as well as tattoo clothing and gear. 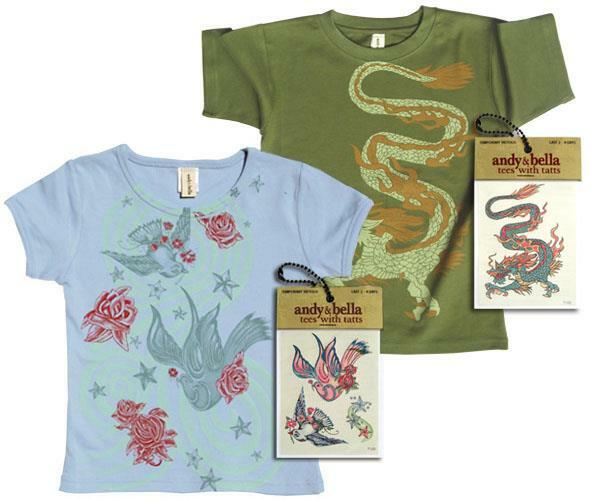 Andy & Bella Tees with Tatts lets kids tap into their rebellious side early with cool tattoo t-shirts. Each t-shirt features tattoo inspired artwork with a matching temporary tattoo. Designs include dragons, roses, doves, sugar skulls and other popular tattoo ideas.